Home » Home Warranties: Are They Worth It? To find the answer, you first need to understand just what a home warranty does, what distinguishes a home warranty from homeowner’s insurance, and most importantly, what the benefits of a home warranty includes. Is a “home warranty” (appliance insurance) worth it? 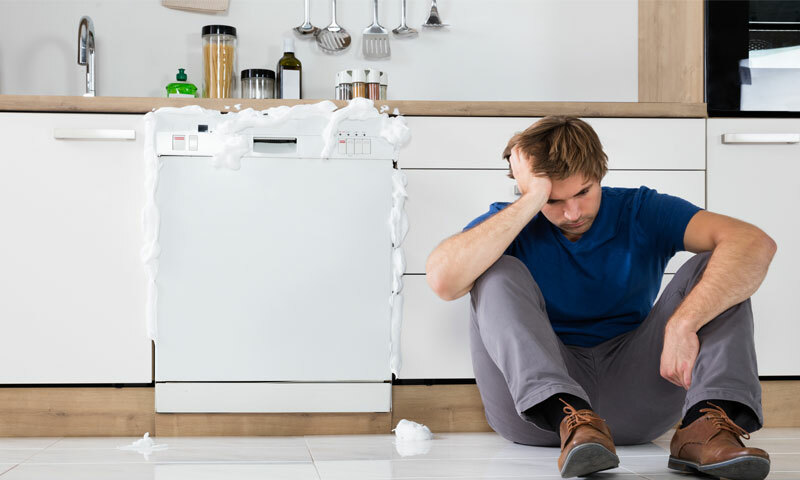 A home warranty, often referred to as a “coverage plan,” “protection plan,” or “service contract,” defends homeowners against sudden appliance and home system breakdowns. When you have a home warranty and something goes wrong, your plan will help you get covered items repaired or replaced by a qualified contractor. Depending on the protection plan you choose, a home warranty can cover things like plumbing stoppage and issues with major appliances including dishwashers, stoves, ovens, garbage disposals, and water heaters – items that would not be covered by homeowner’s insurance. A home warranty is worth it to cover the costs of appliance and system breakdowns. The cost of your individual plan when getting a free quote should be weighed against the appliances and systems you are purchasing a warranty for. Differences between a home warranty and homeowner’s insurance. A home warranty is quite different from homeowner’s insurance. While your homeowner’s insurance policy may cover things like fire damage, weather damage, or property crimes, it won’t cover things like your refrigerator motor breaking down or issues with your cooling system. That’s where a home warranty will benefit you. Make a claim with your home warranty provider. Your provider connects you with a locally licensed service tech. The service tech will set up an appointment to diagnose and repair or replace the problematic appliance or home system. And that’s it! All you pay is a modest fee for the service call. Some providers, including Select Home Warranty, have no limit to the number of repairs covered, don’t require a home inspection to purchase, and cover appliances and home systems regardless of age. Of course, if you’re looking to sell your home, you’ll find that a protection plan can help you sell it, with most home buyers preferring to purchase a home with a warranty. In addition, home warranties aren’t just limited to covering homes. You can even cover rental properties, condos, and mobile homes. The cost of a home warranty comes down to a small cost now versus a big cost later. Your savings varies on the value of each claim. When you submit a claim, you also pay a modest service fee on the day of service. Your return on these payments depends on which appliances or systems you have covered – such as how a refrigerator can cost up to $500 to repair while a plumbing system can cost up to $800. When you add up the cost of the day-of visit and your monthly payment, it’s usually an easy choice. Home warranties are worth it when you desire peace of mind from home appliance and system breakdowns. The high cost of repairing or replacing a refrigerator, as well as the headache of arranging a service technician to visit your home are both factors to weigh with considering a home warranty. When wondering if a home warranty is worth it, consider more than just the bottom line cost. A home warranty is perfect for families who don’t have the time to perform their own repairs and are looking for opportunities to cut costs down the line. The absolute best time to buy a home warranty is when you are either buying or selling your home. When selling your home, home warranties are worth it as a great additional benefit to the new homeowner. The contract they inherit will help resolve issues between the seller and the buyer if there is an unexpected breakdown. If the water heater stops working come winter, the buyer won’t need to communicate with the previous homeowner in order to fairly manage repairs. For those buying a home, home warranties are worth it to equate the costs of repairs and replacements from the start of ownership. Buying a home is very expensive (among the biggest purchases you will ever make!) and equating the cost of a monthly payment now can save you later on unexpected costly repairs or replacements. What is the best home warranty company? The best home warranty is one that provides affordable coverage with fast service. Select Home Warranty has proudly received the Best in Service Award from Home Warranty Reviews for two consecutive years in 2017 and 2018. For a low monthly cost, Select will get you in touch with the right service technician so that your home is kept functional and with peace of mind. When it comes to deciding whether a home warranty is worth it on renewing, it can be tough to weigh the benefits. For those who haven’t used their home warranty recently, it might feel unnecessary. But home warranty coverage provides protection year-round, not just on the days you use it. Home warranty offers you coverage not only when a sudden issue arises, but also when your home is safe and sound. If you haven’t experienced a breakdown recently, we have a saying: It’s only a matter of time. While you might use the home warranty only a few days out of the year, it provides non-stop peace of mind. The short answer is yes. At the end of the day, it’s up to your individual home with unique assets whether a home warranty is worth it. Many homeowners understand the added value and peace of mind that comes with never having to worry about sudden costs from breakdowns on top of the low monthly cost. Those with a home warranty won’t have to worry about what they’ll do when their heating system breaks, when the washing machine makes a banging noise, when their sump pump goes haywire, when – well, you get the idea. Do you think a home warranty might be worth it for you and your family? Take a look at our protection plans today and find the perfect fit to shield your wallet and give you peace of mind. Previous Previous post: How Much is a Home Warranty? What is the Cost? Next Next post: How Long Does a Home Warranty Last?